Regular exercises are important for maintaining staff readiness for the real event. This is especially true for tsunamis, which are infrequent but require rapid response when they occur. Indian Ocean-wide tsunami exercises (IOWave) are effective tools for evaluating the readiness of the end-to-end Indian Ocean Tsunami Warning and Mitigations System (IOTWMS) and for identifying changes that can improve its effectiveness. The pre-exercise planning and post-exercise evaluation process is as important as the actual exercise, because it brings together all stakeholders to closely coordinate their actions. Every Indian Ocean country is encouraged to participate. Exercise IOWave18 will be held in two successive days, 4 and 5 September 2018, with both scenarios run in real-time. Exercise IOWave18 will simulate Indian Ocean countries being put in a tsunami warning situation and require NTWCs and the National and/or Local Disaster Management Offices (NDMO/LDMO) in each country to activate their Standard Operating Procedures (SOPs). A primary motive for IOWave18 is to enhance tsunami preparedness at community level. To this end, all Member States are reminded of the newly developed guidelines for the Indian Ocean Tsunami Ready (IOTR) Programme now ready for piloting in coastal communities in the Indian Ocean. IOTR is a community performance-based programme that facilitates tsunami preparedness as an active collaboration of the public (community), community leaders, and national and local emergency management agencies. 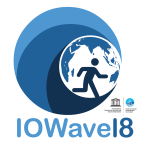 All Member States, particularly those piloting the Programme, are encouraged to use the IOTR guidelines and indicators to guide their community preparation for Exercise IOWave18.